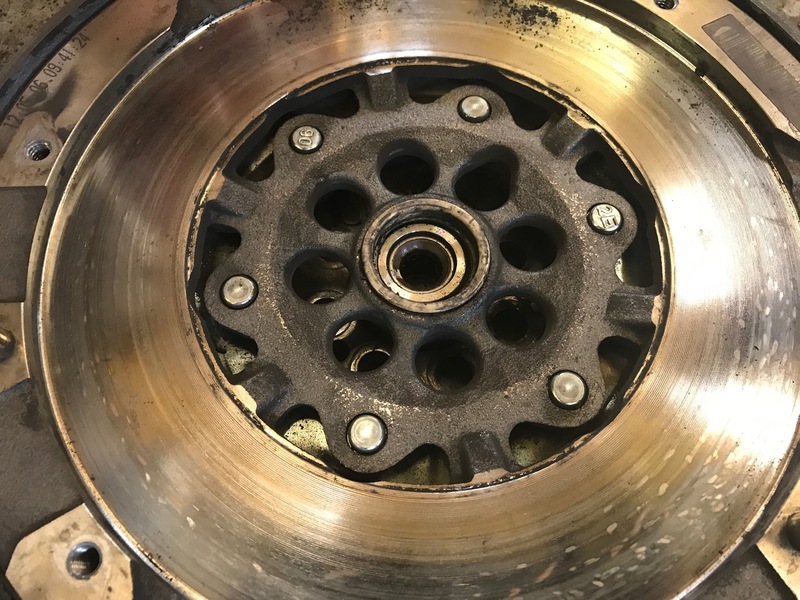 So whats a dual mass flywheel? It’s certainly an expensive repair that many motorists have to cough up for. We wanted to try and outline what the part is and why car manufacturers are using these parts on their cars. If you have to pay for one at least you will have a better idea of what you’re buying! 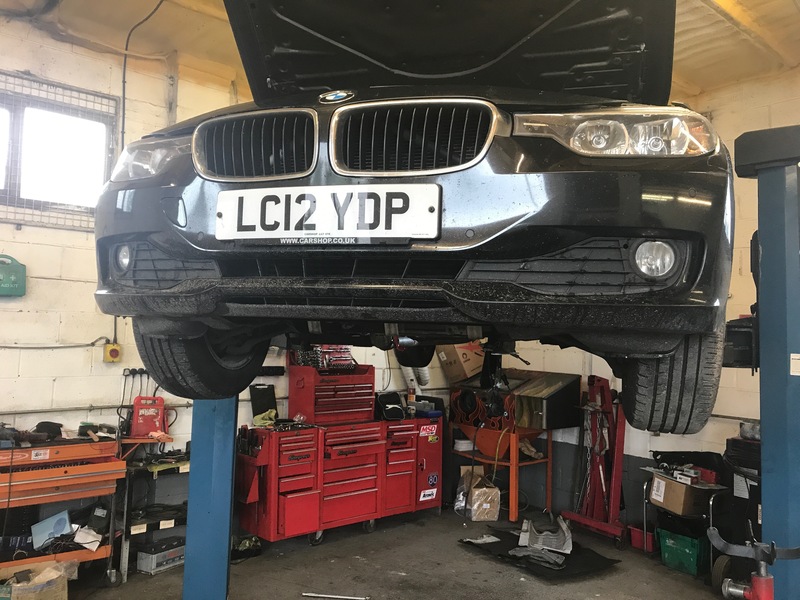 The example we are using is this 3 series BMW, its car we have serviced in the past and replaced the clutch and dual mass flywheel on during this week. The symptoms the owner found was that the car had a violent vibration, the engine was shaking and the pull away was not smooth at all. 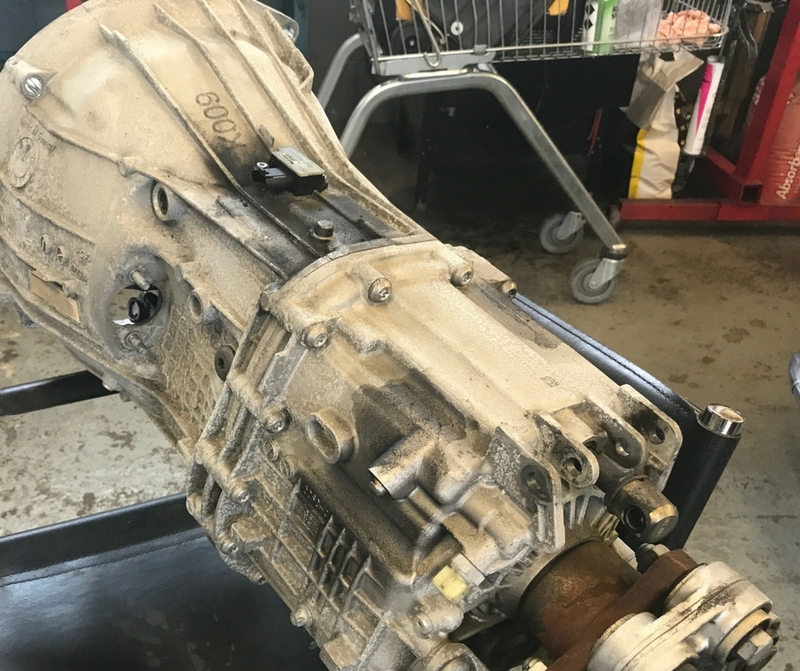 Common things that happen when the clutch and dual mass flywheel are starting to fail. On fixed flywheel cars the flywheel is a single steel plate, like a large toothed wheel. This is the main part that the engine rotates, this in turn creates drive to the gearbox and eventually the wheels. 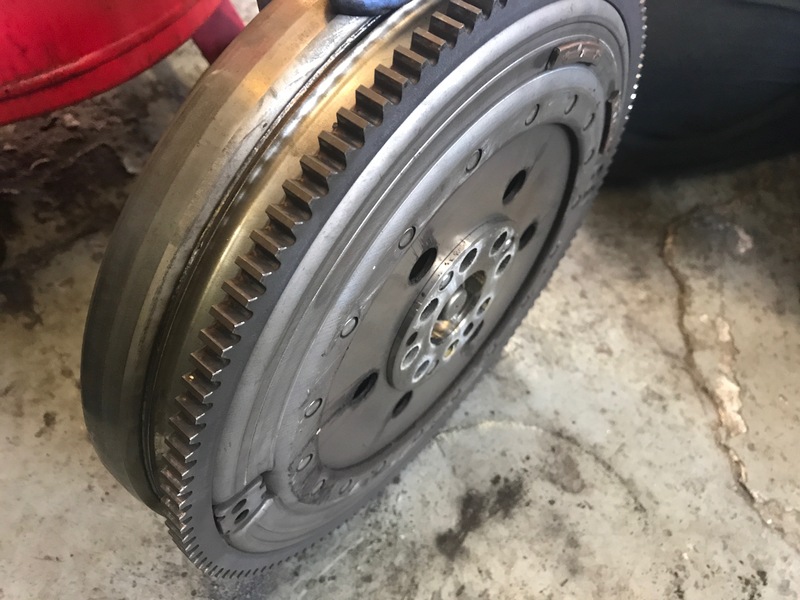 The clutch sits between the flywheel and gearbox and by adjusting the levels of friction between the flywheel and gearbox causes the car to stop or drive. The duel mass flywheel works like two plates sandwiched by rubber, as a pose to the standard single plated flywheel. 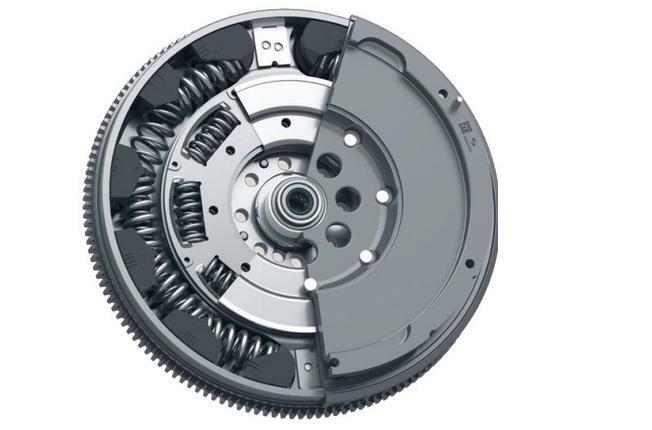 The idea is that the rubber creates smoother operation of the clutch release and reduces vibration in modern cars. The main reason these jobs tend to be more expensive than with typical older type clutch jobs is the price of the parts. A standard style flywheel is much more durable so does not often need to be changed. On top of that the dual mass is a much more intricate part and so costs range from a few hundred to over £1000. You can see in the pictures our BMW going together, the car was turned around inside a day and went out after a thorough road test. The difference in this case from dramatic as the car was back to its original BMW ‘glide’ and was enjoyable to drive again. 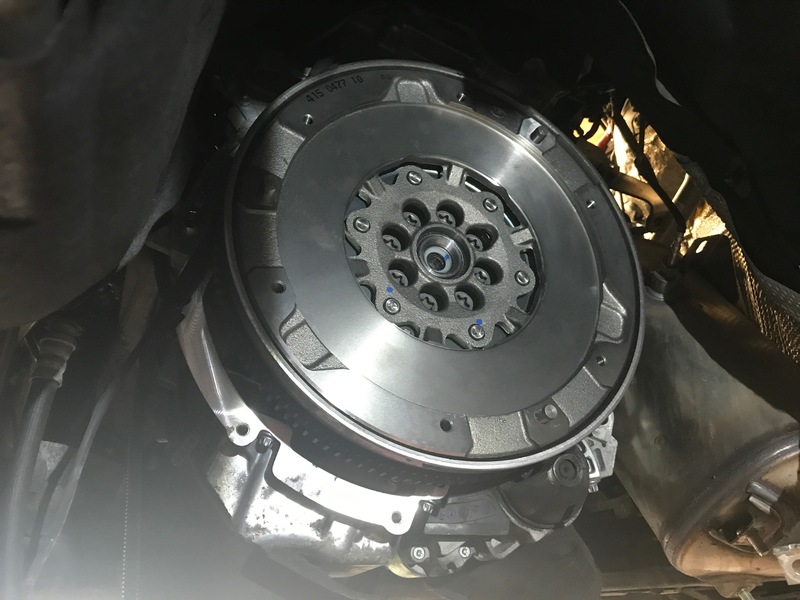 If you need any help with your clutch feel free to contact us for a free quote – 01235 510638.